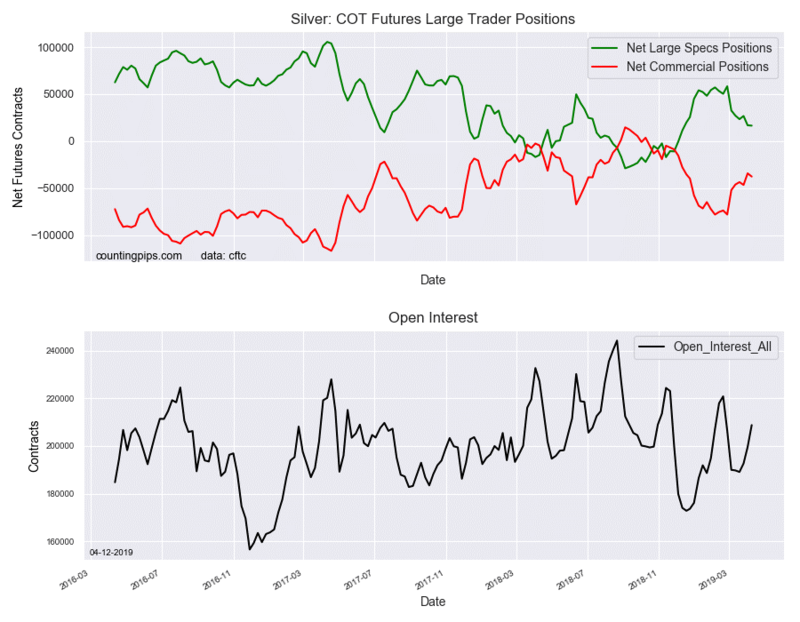 The non-commercial futures contracts of Silver futures, traded by large speculators and hedge funds, totaled a net position of 16,418 contracts in the data reported through Tuesday, April 9th. This was a weekly decrease of -365 net contracts from the previous week which had a total of 16,783 net contracts. 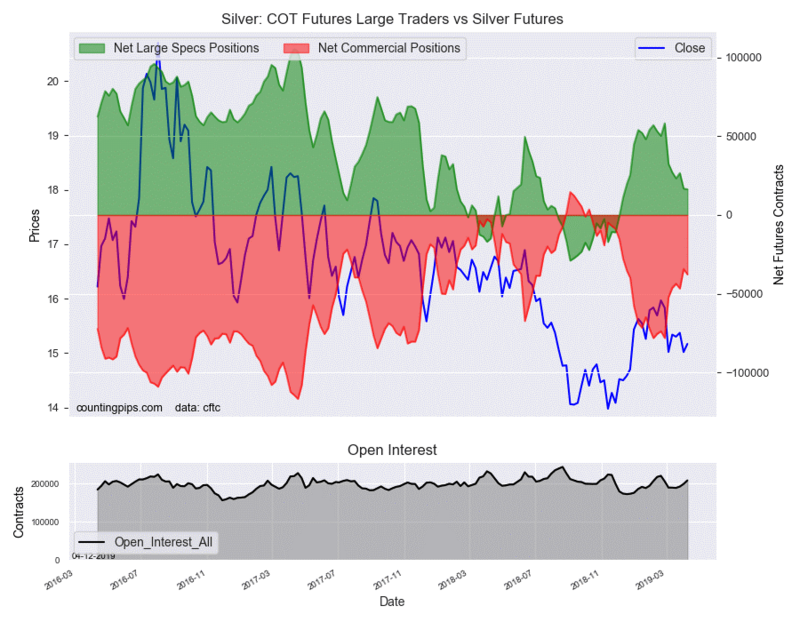 The commercial traders' position, hedgers or traders engaged in buying and selling for business purposes, totaled a net position of -37,762 contracts on the week. This was a weekly decrease of -3,404 contracts from the total net of -34,358 contracts reported the previous week.